Your quest for the art of shaving ends here. 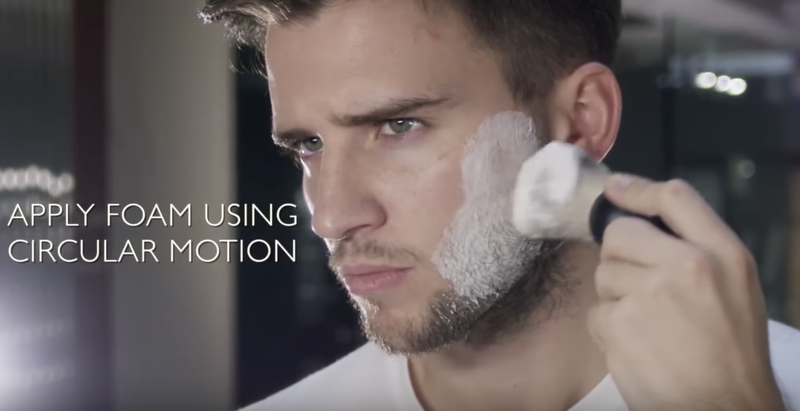 We’ve created a ‘How to achieve the perfect shave’ video guide for men who find that they’re tired of the razor burns, shaving rashes, the odd nicks and cuts, bumps, in-growing and missed hairs. Did you know that the average gentleman’s beard grows approximately two millimetres per day? With this in mind, there’s no escaping the shaving routine, so we’ve perfected the technique over many years to reveal to you the art of shaving. Here’s a shaving secret: Shaving is less about the razor you use and more about the products you apply before and after it is used on your skin. Use these valuable steps below to avoid skin irritation and achieve the perfect shave for a flawless, smooth complexion, every time. 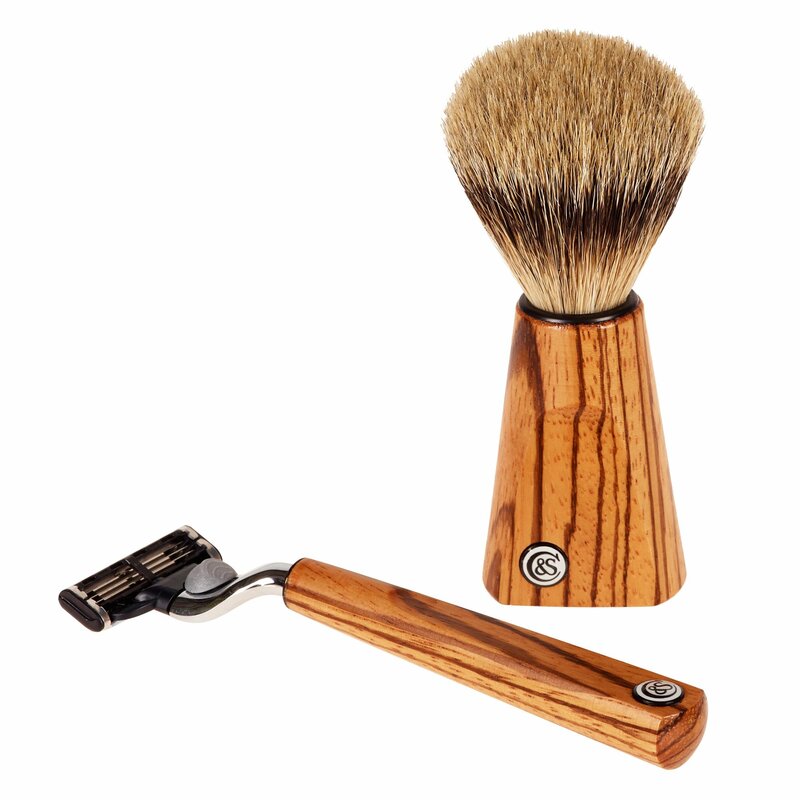 A perfect shave begins with opening your facial pores and softening the hair with warm or hot water. Coarse, heavy beards stem from genetics, ethnicity and hormones. So, this step is a vital one, but especially if your facial hair is wiry and thick. Steaming the skin makes the shave easier and friendlier because it reduces the cut force needed for the blade to slice the hairs. The smoother the path for the razor, the less irritation on your skin. If you have time, take a hot shower, and allow the steam to open all the facial pores, but if you want a quick fix, then a flannel soaked in hot, rubbed gently over your face is good enough. Lathering soap with a badger hair brush and one of our many soaps in shave dishes helps build a thicker foam that’ll raise your whiskers, letting the blade give you a closer cut. Lathering this way also helps soften the hair further and protects against razor rashes and burns. Apply the foam you create with the soap and brush in a circular motion on your face. This helps the hair stand up and ensures every part of your beard is covered with the foam. In order to ease the discomfort related to shaving a thicker beard, the beard must be softened and lifted, and the skin should be protected. First, run some hot water on your razor blade. Then start to position it on your face in the direction of hair growth. Remember, modern razors are designed to work with relatively little pressure. Don’t push the blade against your skin, let it glide to reduce the friction. The lather will help to protect your face from nicks and cuts, and you’ll see smoother skin after your shave. Rinse the razor and repeat this step until your face is clear from all the lather. Use slow short strokes to achieve an even shave and to avoid the drag mark against your skin. Our range of Men’s Aftershaves are developed to moisturise to soothe, protect and invigorate the skin. 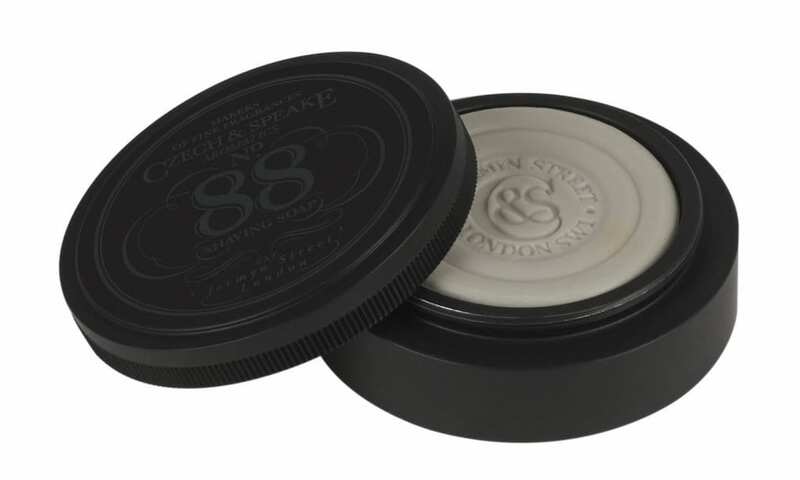 Our No.88 Aftershave Shaker is a popular choice for many – this aftershave contains antiseptic properties, which helps to close the pores and prevent skin blemishes. 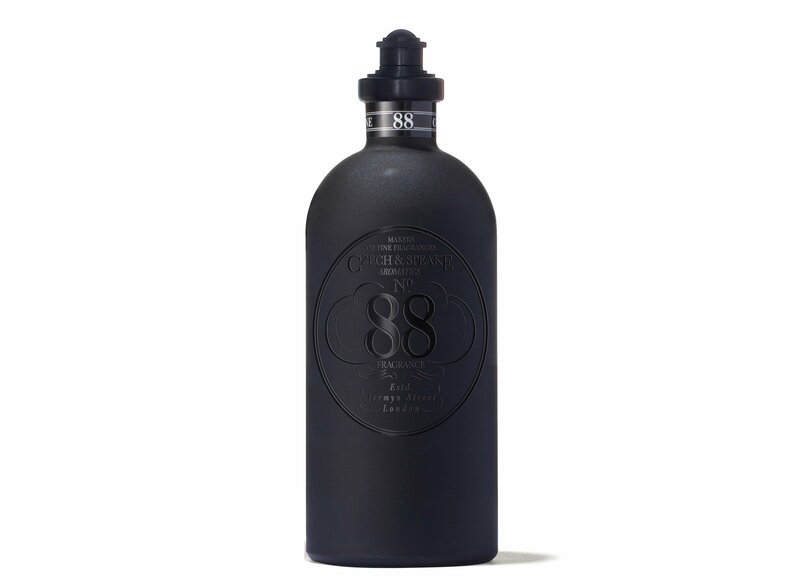 With notes of bergamot, sandalwood and geranium, its smell is lasting and powerfully alluring. Aim to apply a moisturising product to your face twice a day – once post-shave and once before bed. For more men’s grooming tips, read our post on Summer grooming.